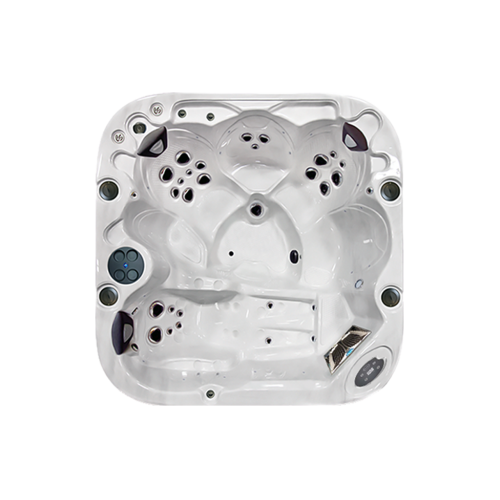 The Coast Spas 1701VE Infinity Swim Spa Exercise Pool is perfect for anyone looking for a real time swimming experience and represents an amazing way of getting an outdoor swimming pool into your own garden. Either sited as an in ground swim spa or above ground swimming pool, we can offer the whole family years of outdoor fun in the form of aquatic exercise – either as a pastime or as part of a serious fitness regime - and all year round. The Coast Spas 1701VE Infinity Swim Spa has 3 swimming powerful jets and offers an incredibly challenging and realistic low impact workout and the powerful massage jets allow for an amazing full body deep massage which will get your blood flowing and leave you feeling refreshed and rejuvenated. 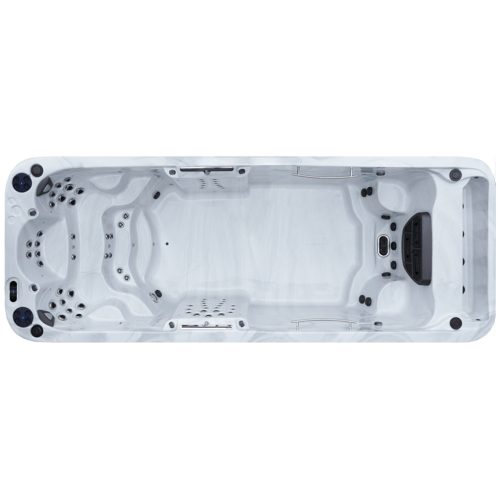 The Coast Spas 1701VE Infinity Swim Spa has an infinity edge pool effect and will never overflow – regardless of how many bathers use the pool at once. The views from the swim spa are stunning and the infinity edge swim spa looks amazing from anywhere in the garden. Swim against the most powerful swim jets available without having to focus on acrylic of the swim spa - you can create the most amazing and inspiring view while you work out and the water cascades over the infinity pool edge. Cool-Down seating and strategically placed steps along with the exercise equipment and swim tether provide everything you will need for your every own Aquatic Gymnasium. The Coast Spas 1701VE Infinity Swim Spa is an easy to maintain swimming pool and has very low running costs – so you can use the swim spa for exercise and outdoor fun all year round for as little as £1 per day with the minimum of fuss and yet get maximum use. When you’re finished with exercise, there is enough room to have the most amazing hot tub party or to simply relax and reconnect with friends and family. 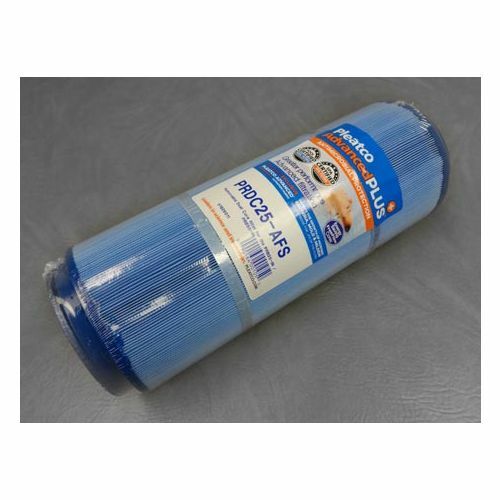 All of our swim spas have the best commercial grade water filtration (which pass public health codes), the strongest acrylic swim spa shell and patented technology for easy water maintenance. Unlike all other swim spas, you won’t have to keep changing and reheating the water. 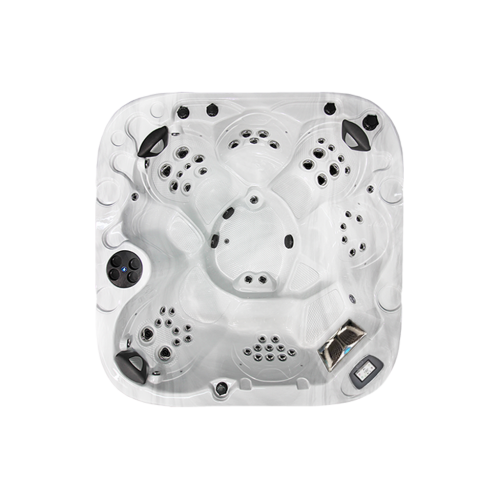 The Coast Spas 1701VE Infinity Swim Spa will bring hours of enjoyment and wellbeing, without the stress of becoming an expert in water chemistry. 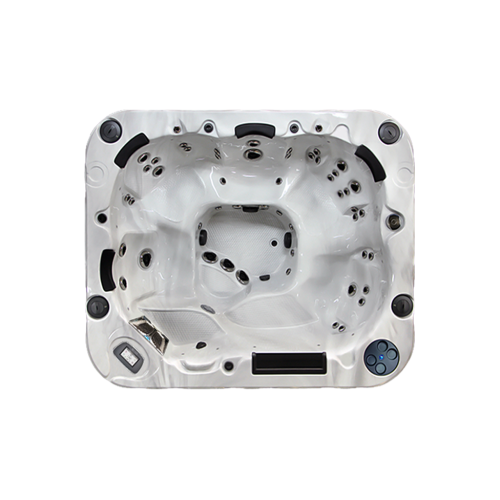 The Coast Spas 1701VE Infinity Swim Spa made in Canada, is manufactured by Coast Spas in Vancouver. It’s not just a swim spa with waterfalls, the Coast Spas 1701VE Infinity Swim Spa will bring hours of fun to all of the family and the powerful hydrotherapy massage jets will help relieve all of those aching muscles. The Coast Spas 2101VE Infinity Swim Spa Exercise Pool is perfect for anyone looking for a real time swimming experience and represents an amazing way of getting an outdoor swimming pool into your own garden. Either sited as an in ground swim spa or above ground swimming pool, we can offer the whole family years of outdoor fun in the form of aquatic exercise – either as a pastime or as part of a serious fitness regime - and all year round. The Coast Spas 2101VE Infinity Swim Spa has 3 swimming powerful jets and offers an incredibly challenging and realistic low impact workout and the powerful massage jets allow for an amazing full body deep massage which will get your blood flowing and leave you feeling refreshed and rejuvenated. 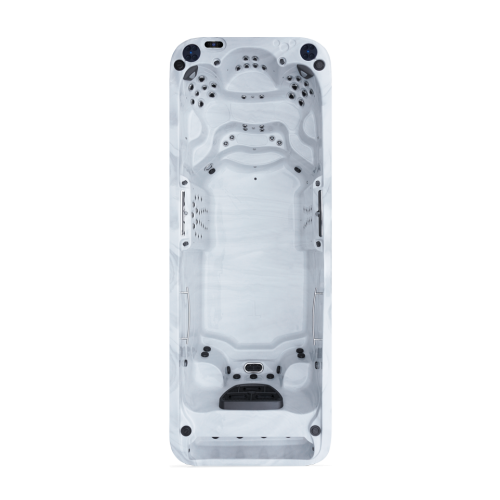 The Coast Spas 2101VE Infinity Swim Spa has an infinity edge pool effect and will never overflow – regardless of how many bathers use the pool at once. The views from the swim spa are stunning and the infinity edge swim spa looks amazing from anywhere in the garden. The fantastic Coast Spas 2101VE Infinity Swim Spa is the only swim spa that allows 2 bathers to swim at the same time – even swim side by side with your training partner, using the same swim jet current as resistance. 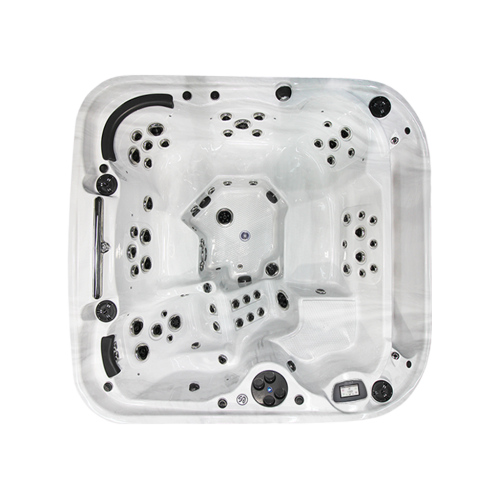 This is because the Coast Spas 2101VE Infinity Swim Spa has the widest swimming area of any swim spa. You can create your very own ‘fast lane’, to suit your endurance levels and your swimming ability. Swim against the most powerful swim jets available without having to focus on acrylic of the swim spa - you can create the most amazing and inspiring view while you work out and the water cascades over the infinity pool edge. The exclusively designed propulsion jet system is the most realistic and resistant aquatic swimming experience available in any swim spa - it genuinely is similar to swimming in ‘open water’. Packed with power and with carefully placed river jets the swimming experience is one of the most realistic and smoothest available. Cool-Down seating and strategically placed steps along with the exercise equipment and swim tether provide everything you will need for your every own Aquatic Gymnasium. The Coast Spas 2101VE Infinity Swim Spa is an easy to maintain swimming pool and has very low running costs – so you can use the swim spa for exercise and outdoor fun all year round for as little as £1 per day with the minimum of fuss and yet get maximum use. When you’re finished with exercise, there is enough room to have the most amazing hot tub party or to simply relax and reconnect with friends and family. 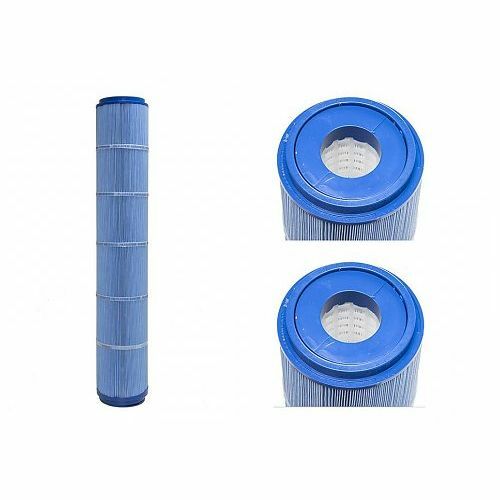 All of our swim spas have the best commercial grade water filtration (which pass public health codes), the strongest acrylic swim spa shell and patented technology for easy water maintenance. Unlike all other swim spas, you won’t have to keep changing and reheating the water. The Coast Spas 2101VE Infinity Swim Spa will bring hours of enjoyment and wellbeing, without the stress of becoming an expert in water chemistry. 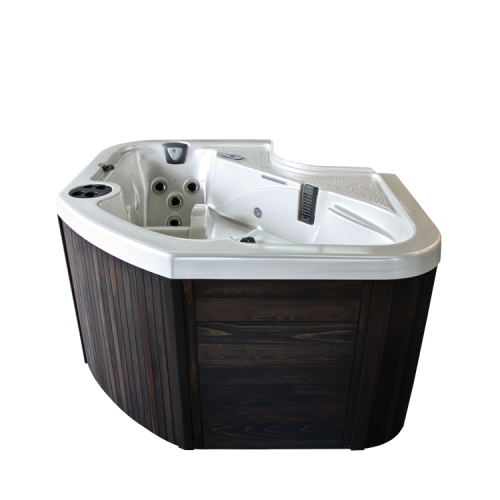 The Coast Spas 2101VE Infinity Swim Spa made in Canada, is manufactured by Coast Spas in Vancouver. It’s not just a swim spa with waterfalls, the Coast Spas 2101VE Infinity Swim Spa will bring hours of fun to all of the family and the powerful hydrotherapy massage jets will help relieve all of those aching muscles.